Enjoy the process of keeping your fur garments clean, healthy and fabulous by using a brush that your fur truly deserves. 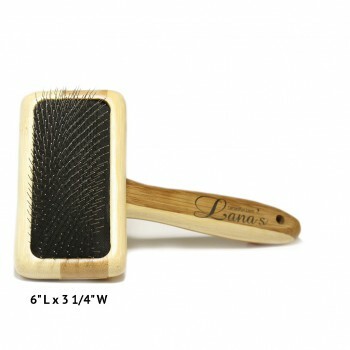 The Lana’s fur brushes are specially designed for accurate removal of debris and dirt particles from fur garments to maintain their natural look and prolong life of the fur material. Our brushes work well on fur of almost any type: mink, fox, rabbit, sheep, coyote, sable, beaver, muskrat, lynx, faux fur, etc. They feature soft steel pins that are more appropriate for gentle handling of delicate fur items. 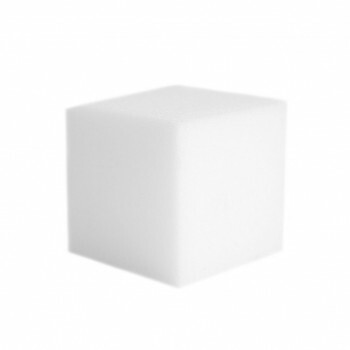 Lana’s Fur Cleansing Pad designed as a part of Lana's Cleaning Solution for cleans and glazes your precious fur garments. The small size Fur Pad works well on all fur types: mink, fox, rabbit, lynx, sheep, coyote, sable, faux / fake fur, etc., and on any fur items: coats, hats, gloves, scarves, collars, purses, rugs, throws, wraps, seat covers, etc.